York is a subsidiary of Johnson Control which is an innovative, high-tech company, so it is not surprising that York products like the York LX Series Model YCJF 14.5 SEER central air conditioner feature outstanding design and build. This model provides good efficiency and a footprint that is significantly smaller than most models in its class. 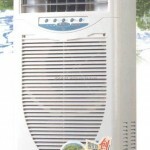 It is an ideal unit for anyone who wants average to good efficiency. If space is a factor, it should be considered as well. 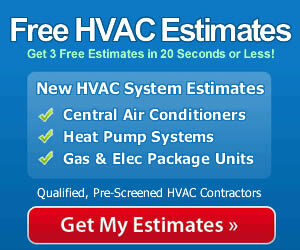 This HVAC prices post came from Erik in Waterville, OH. He shares the York LX Series Model YCJF 14.5 SEER central air conditioner price he paid and why he settled on this model. “We got a good deal last year on a brand new townhouse when the builder went bankrupt in the middle of it. We bought a middle unit in a row of 4 and had to finish the drywall, carpet, cabinets, etc. It was actually fun choosing all of that! The biggest drawback to me is the very small back yard. I hope to add a small deck, along with privacy fences on either side. That doesn’t leave a lot of room for a central air conditioner. My wife has C.O.P.D. and cool, dry air is a necessity for her in the summer. Anyway, I met with several contractors to find a compact design. Carrier has a true compact air conditioner, but I’m concerned about the durability and performance of true compacts. If they worked as good as standard sizes, wouldn’t they all make compact models? Uses R-410A refrigerant that will not harm the environment. Single-stage scroll compressor for quiet, efficient heating. York MicroChannel coil design allows for rapid and effective heat transfer in a small coil. Reduced footprint is possible due to smaller coil. Compressor technology, raised fan design and insulation produce lower decibel operation. Sturdy galvanized cabinet has baked-on enamel paint that resists corrosion and chips and looks better longer. 10-year limited warranty on the compressor; 10-year limited warranty on parts. For many of us, staying cool in the summer is a luxury. For those with breathing issues, maintaining a cool, low-humidity environment is essential. Either way, the best way to ensure that your system will operate as expected in the worst heat and humidity of the summer is to have a qualified contractor install it for you. They have the skill and experience necessary for the complex task of installing, testing and adjusting the system for maximum performance. Leave it to the pros for a cooler, safer summer!